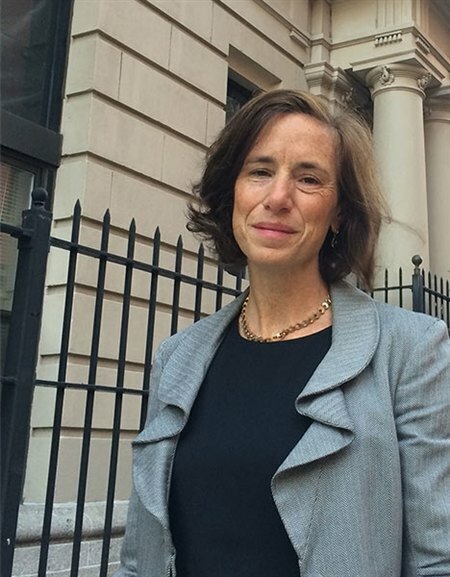 Amy Blum Houston ’85 is Managing Director of Management Assistance for the Robin Hood Foundation, New York City’s largest poverty-fighting organization. Since its founding in 1988, Robin Hood has focused on finding, funding and creating programs and schools that generate meaningful results for families in New York’s poorest neighborhoods. The organization has raised more than $1.95 billion in money, goods and services to provide hundreds of the most effective soup kitchens, homeless shelters, schools, job-training programs and other vital services that give New York’s neediest citizens the tools they need to build better lives. The organization also administers a relief fund for disasters in the New York City area. In addition, Robin Hood’s board of directors pays all administrative, fundraising and evaluation costs, so 100 percent of public donations goes directly to organizations that help New Yorkers in need. When Robin Hood decides to fund an organization, they are investing not only in that group’s ability to provide extraordinary services to people in poverty, but also in the ability of nonprofit leaders to manage complex organizations. The support of a committed board, a transparent accounting system, a motivated staff, managing logistics, overhead and office arrangements – this is where Amy Houston comes in. Her job overseeing Management Assistance is to augment and protect donor investments in these life-saving organizations. This is done through Robin Hood’s consulting staff lending expertise directly to a nonprofit, and at other times, recruiting the best providers of professional services for grant recipients. Each year, Robin Hood’s staff and corporate partners provide professional services to grant recipients worth more than $5 million.